Parkway Cinema in Beverley is the first multiplex in the UK to install Christie Vive Audio and the first cinema in EMEA to install the new LA2 speakers specifically designed for smaller to medium venues in October. 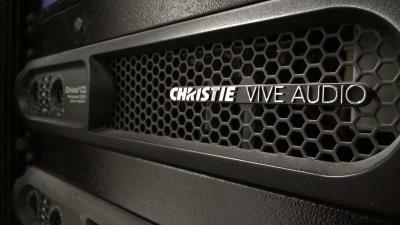 In fact, the brand new 6-screen complex is entirely Christie cinema solutions – Christie Vive Audio, projection including 4K, Christie IMB and SKA 3D audio processor too. Integrator Arts Alliance Media carried out the design and full installation. Vive Audio’s sound reproduction is perfect, and allows people to hear subtle details in the movie soundtrack not picked up by traditional cinema sound systems. Alongside that, the line array screen channels offer superb and punchy sound, which is wonderfully uniform volume to every seat. “They also chose to use SKA-3D, not only used for DCI 7.1 playback, but also features a powerful Video Scaler, and A/V processor which allows “Parkway” to host any number of pre-show events and alternative content shows too,” continued Connett.